With the springtime right around the corner, it may time to start thinking about renovating that old deck or giving your backyard patio a much needed makeover. 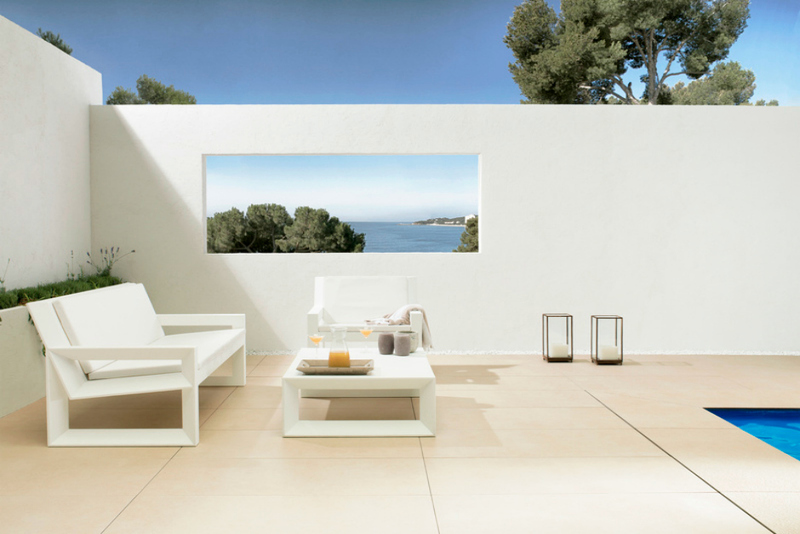 Porcelanosa has many products that can be used to give your backyard a new look for the 2017 spring/summer season. Whether you have a small yard or lots of acres of land, you have to start your project by determining the uses for your space, for example: creating a relaxing outdoor retreat, creating a place to entertain guests, or creating an outdoor workout area. Once you figure out what you want to use your space for, then you can narrow down what needs to be done to your space. The possibilities can include, adding a pool or grill area, building a she-shed or simply updating the tiles on your deck or patio. 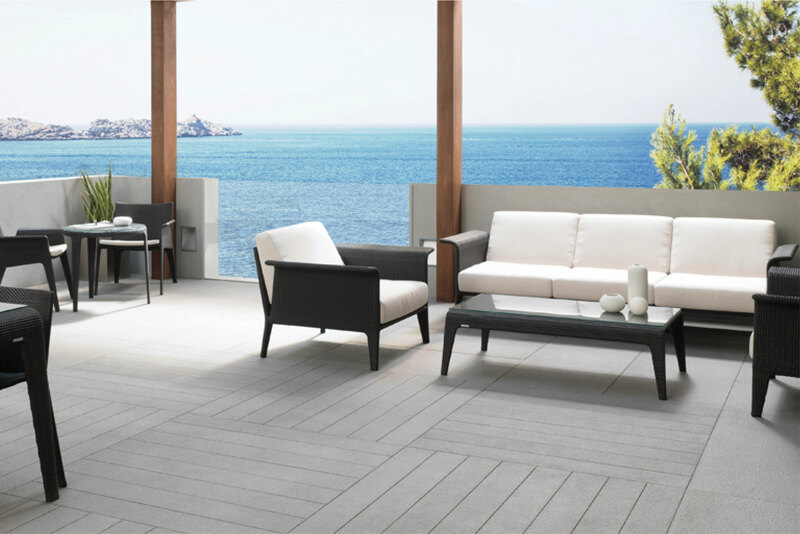 When it comes to outdoor deck renovation, Porcelanosa offers many selections that can be used for this type of project. 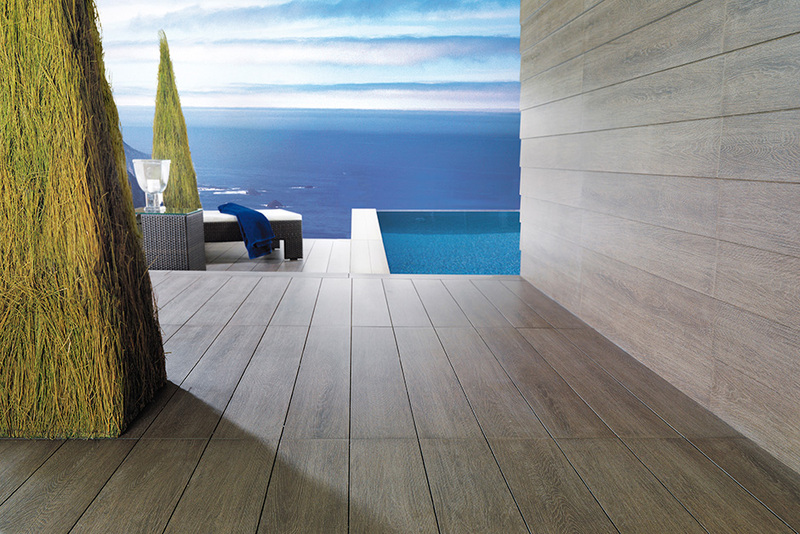 The Parker collection, Porcelanosa’s collection of wood-look porcelain tiles, is a great choice for remodeling a deck. 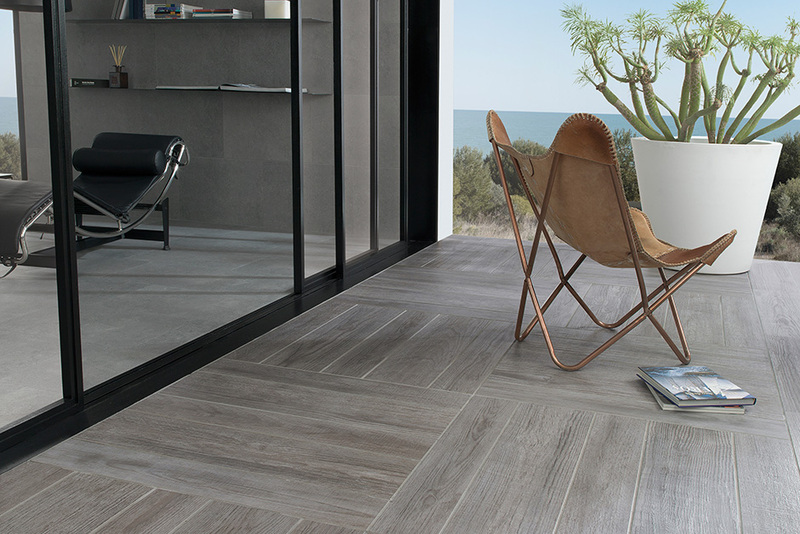 Our Parker porcelain wood tile series offers our customers an option with the stylish and timeless beautiful look of real hardwood, and combines it with the benefits low maintenance and superior performance of using porcelain wood tiles. The Parker wood look tiles are a durable option with a high-resistance rate and an appearance that will never fade – making it a great product to be used in any commercial or residential project. Specializing in large size porcelain wood tiles in different widths and lengths of wood looking porcelain tiles, we achieve very realistic wood textures and tile finishes; the Parker series makes realistic appearances of the different wood styles such as oaks, maples, cherry’s, pines or redwoods, suitable for indoor or outdoor use due to its anti-slip finish, which makes possible the use of wood look tiles in wet areas or pool deck applications. If you are considering renovating your patio area, a stone look tends to be more popular in that setting. 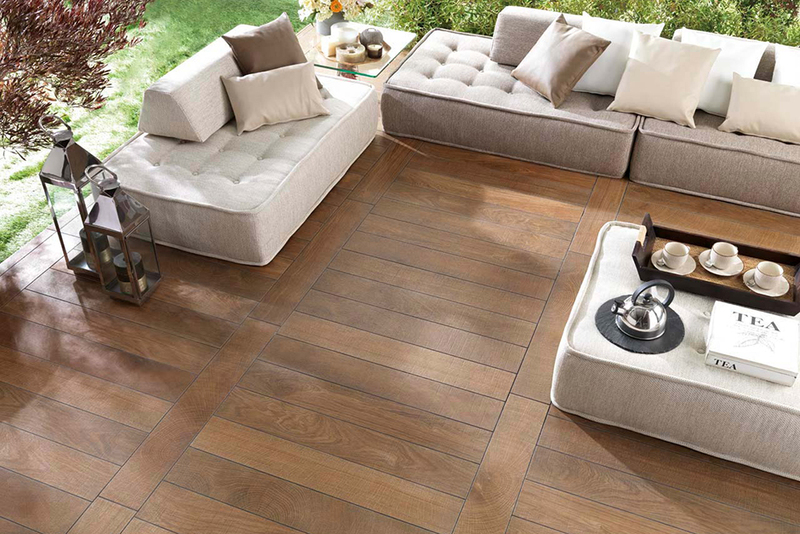 Porcelanosa offers a wide range of external floor tiles that will help create an outdoor oasis for your home. Collections such as the Avenue and Stuc collections are ideal for outdoor applications and available in a variety of shades. The Avenue collection is available in Black, Brown, Grey and White and the Stuc collection is available in Black, Beige, Grey, and White. The benefits of these two collections are that they are available in three finishes, the texture and nature versions being the most ideal for outdoor application. Other ways to spruce up your outdoor space include, adding a garden or a gazebo with furniture to help create a relaxing environment. 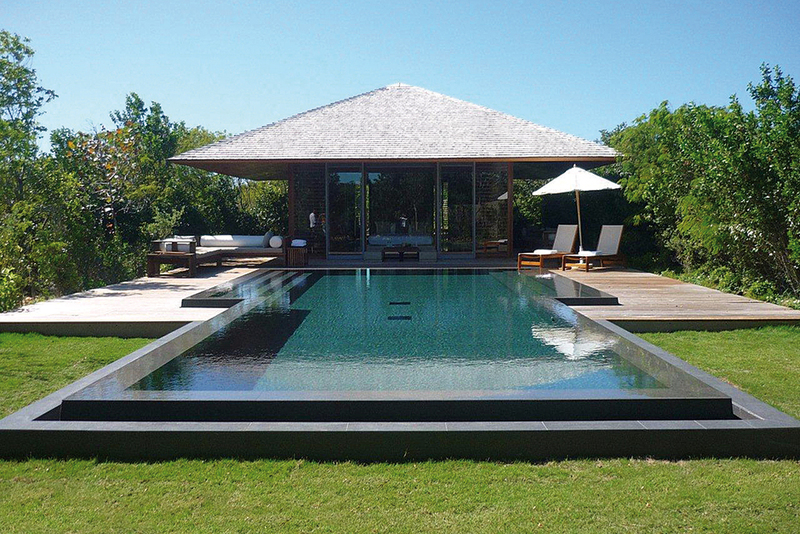 Get some more outdoor renovation inspiration by visiting our Inspiration Gallery.